Even though I haven’t yet made all of the mini quilts from the first challenge I just couldn’t pass up on Canoe Ridge Creation’s newest round of her mini quilt club. Known as the Fresh Mini Quilt Club this is the fifth in her series. The club lasts for six months with one new pattern released each month. The pattern arrives in your in-box with easy-to-follow, downloadable and printable, step-by-step instructions with diagrams. The cost for the club is $25.00. 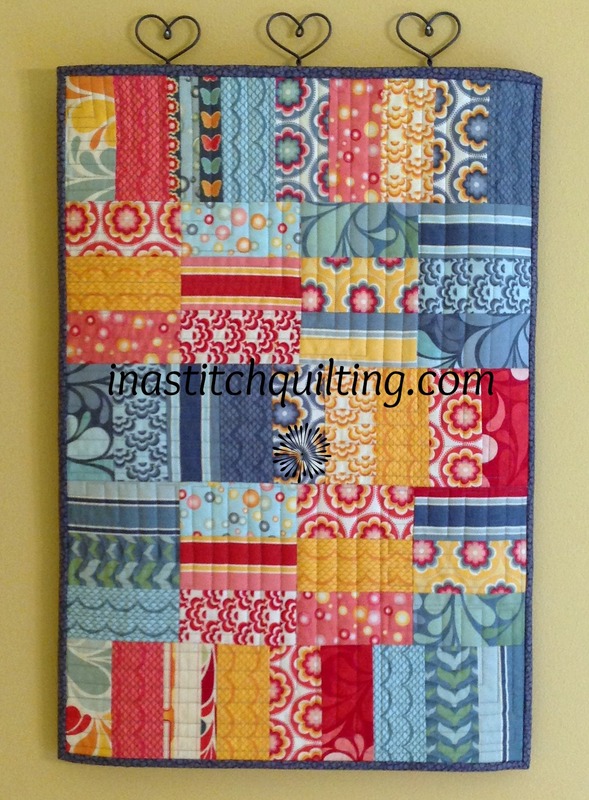 The first pattern, in this round, is called It Adds Up Mini Quilt. If you don’t want to purchase all six patterns you can purchase one at a time from her website.